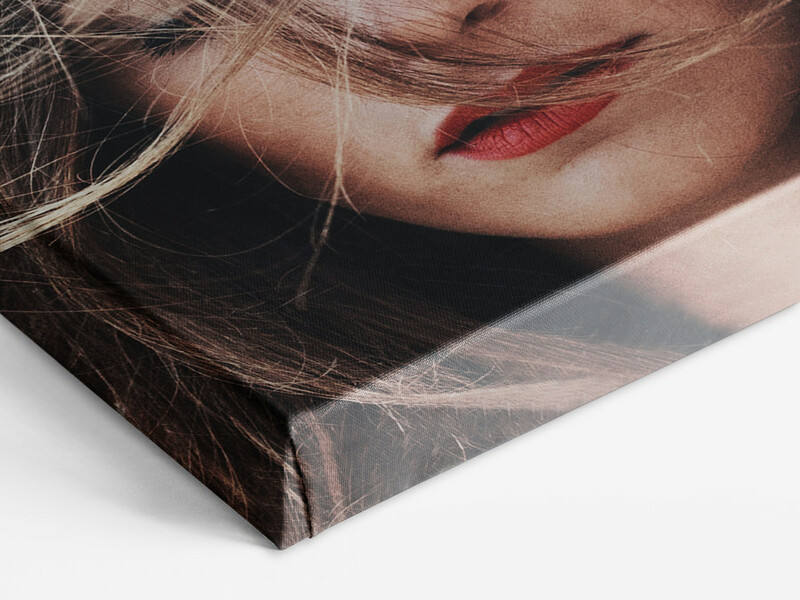 Our photo canvases wrapped on stretcher frames use a premium print valued for its rich, luminous colors. Using a highly advanced, 8-color Inkjet printing technique, the pictures maintain their brilliance for decades. The inks are encapsulated in resin, which makes the print waterproof and smudge-proof right away. 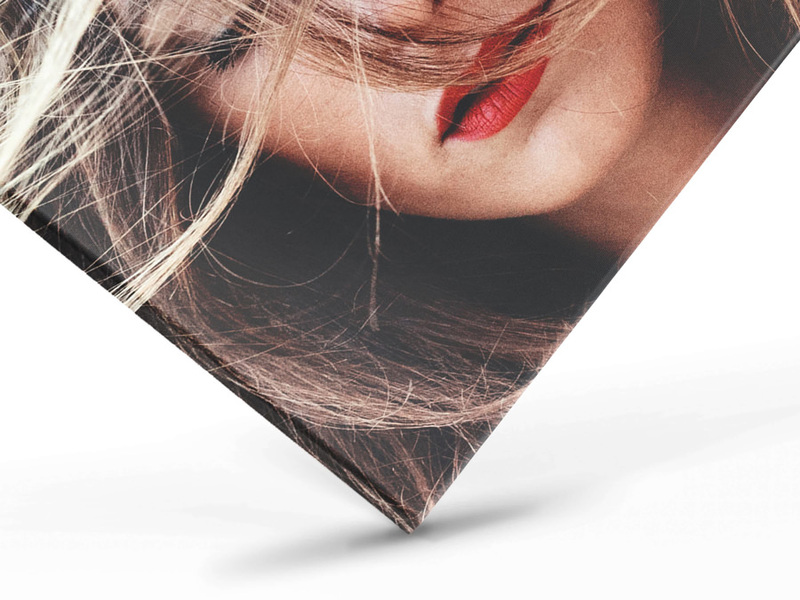 With wraparound edges, the borders of the image extend around the sides. This method is great for images that have a sufficient buffer of image material at the edges. On each side, 1.18" - 1.97" (3 -5 cm) of image (depending on the stretcher frame’s depth) will be wrapped around the frame and will no longer be visible from the front. Mirrored edges are recommended for pictures that cannot afford to have any part of the picture be less visible. On each side, the outer 1.18" (3 cm), 1.97" (5 cm), or 2.76" (7 cm) (depending on the stretcher frame’s depth) are mirrored and printed at the edges before the canvas is wrapped. By mirroring the outer areas of the picture on the sides of the canvas, we ensure your entire photo remains visible from the front. 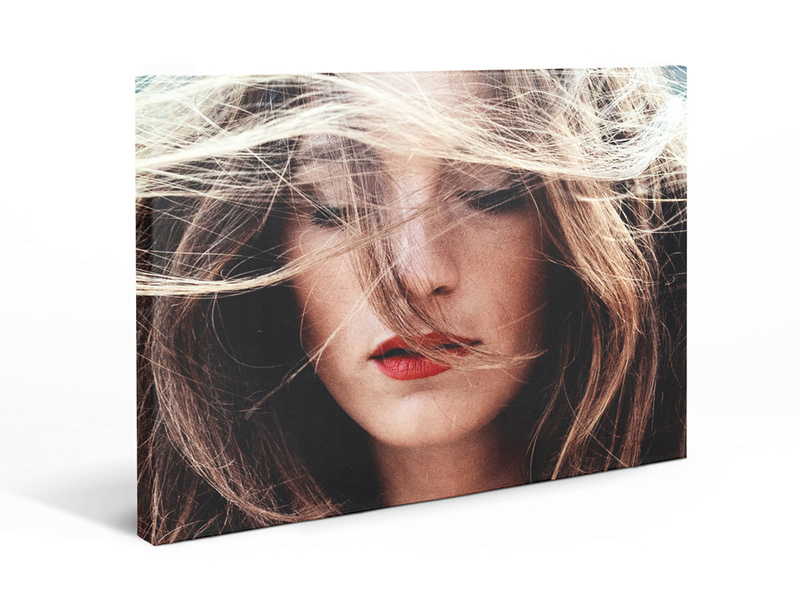 Canvas prints are made in the exact custom dimensions of your choice. From 12" x 8" (30 x 20 cm) up to sizes as large as 75" x 50" (190 x 127 cm). 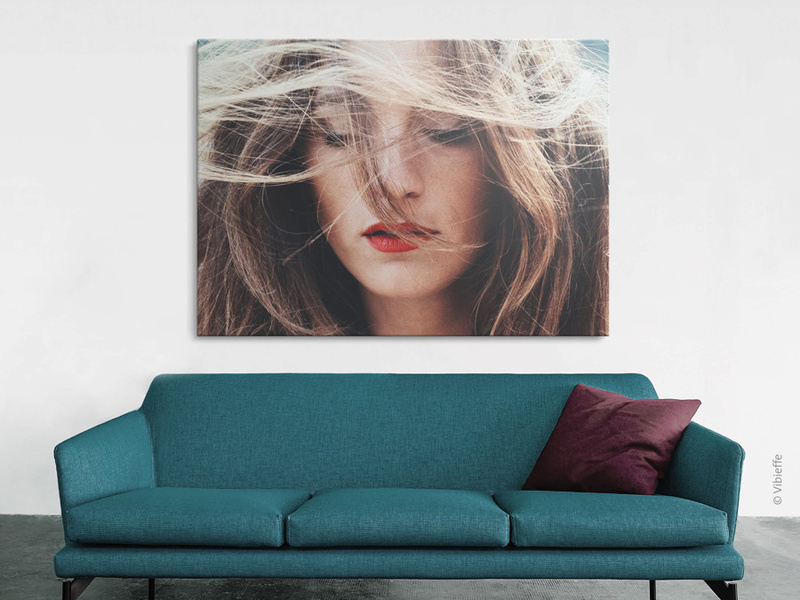 Thanks to their low weight, the Canvas Print On Stretcher Frame is always easy to hang, no matter how big it is. Select from square, portrait, landscape, or panorama formats! If you are so inclined, you can select an additional frame for your photo canvas. We offer different models made from high-quality materials in numerous colors.